Government figures have recently estimated that 920,000 tonnes of food waste is thrown out by the UK hospitality industry each year; the equivalent of £1.7bn worth of good food being wasted. Whilst this is only a small proportion of the 15 million tonnes of food wasted across the UK each year, there is still a need for the hospitality industry to address this problem post-haste. Statistics from the Waste Resources and Action Programme (WRAP) estimate that 75% of the hospitality industry annual food waste is avoidable and could be dramatically reduced through various initiatives including ‘waste auditing’ and ‘stocktaking food waste’. An example of such an initiative is FoodSave, which was launched in November 2013 and funded by the Mayor of London in partnership with the European Regional Development Fund and the London Waste and Recycling Board. The FoodSave scheme, with help from the Sustainable Restaurant Association, involves installing a waste auditing system into a participating kitchen to categorise and effectively ‘stocktake’ the food waste. Further statistics from WRAP suggest that 21% of food waste in restaurants arises from spoilage, 45% from food preparation and 34% from food that comes back on plates and the waste audit system has the ability to classify all food waste into these categories to then allow effective waste benchmarking for the kitchen. However, the system only has the ability to record waste and some human input is required in order to actually reduce these waste levels. A typical use would be to recycle the food waste by anaerobic digestion but, in a recent report, the House of Lords EU Committee are encouraging food and beverage operations to redistribute unsold food for human and animal consumption (where safe to do so) quoting that the amount of food wasted by EU nations had reached “the equivalent of nearly the entire level of net food production of sub-Saharan Africa”. 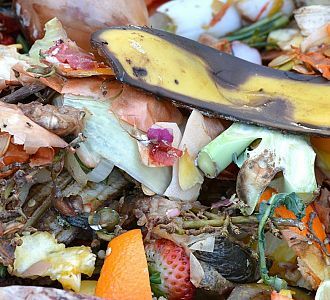 WRAP suggest that by not throwing away ‘good food’ and ensuring other food waste, like peelings, cores and bones are directed to anaerobic digestion, UK pubs, restaurants and hotels could save in the region of £720 million per year. Research from WRAP also reports that the cost of food being wasted in the UK from the Hospitality and Food Service sector is estimated to be £2.5bn per year in 2011 and rising to levels of £3.0bn per year by 2016. The research goes on to say that these Hospitality and Food Service outlets produce nearly 3 million tonnes of waste per year; packaging accounts for 1.3 million tonnes, food waste produces 0.92 million tonnes and other ‘non-food’ waste, such as disposable paper towels, equates to 0.66 million tonnes. In addition to the above, it is estimated that a further 130,000 tonnes of food is wasted during the preparation of ready to serve foods, such as sandwiches, soups and ready-meals, at hospitality and food sector manufacturing sites. It is clear there is much to be done in the UK and the EU to improve sustainability through reducing food wastage but the hospitality industry is in a very strong position to make a considerable contribution to the nation’s efforts to reduce the predicted £3bn per year of wastage that is expected to be reached by 2016. This food wastage, coupled with the fact that 90% of UK restaurants have experienced a rise in food costs over the last year, is putting head chefs and food & beverage controllers under new pressures and the price of food is expected to continue to rise above the rate of inflation. At arena4finance, we understand this burden being placed on head chefs and F&B controllers and now offer a one day course in ‘Cost Control for F&B Operations’. This one day course, designed for all food and beverage establishments, takes a practical approach to understanding how to control food costs and consequently manage menu pricing and gross profit in your organisation. To develop this course further, we are conducting a short survey with the intent of providing greater assistance to F&B businesses with the control of food costs as they continue to rise. We would appreciate your response to the survey to help us deliver valuable content. We are also working in Association with the National Coastal Tourism Academy (NCTA) to deliver this course to a wider market. arena4finance and the NCTA will help delegates understand pricing methods and the control of gross profit, as well as assisting them with the effective execution of daily financial tasks such as ordering, purchasing and gross profit calculation. Since staffing costs tend to be a significant expense alongside food costs in food and beverage establishments, the course will also cover wage and salary controls. For further information on the course and upcoming dates, please contact Joanne Huey. At arena4finance, we are also delighted to be working in partnership with APSE, the Association for Public Service Excellence, to launch a new course to the Public Sector. The one day course, entitled Controlling Food Costs, will be delivered by arena4finance’s Head of Professional Development Debra Adams and supported by APSE’s Principal Trainer Jan Kennedy, and is designed for all those working in public sector catering; including schools, hospitals and public buildings. For more information on our upcoming courses, please visit our events calendar. What are you currently doing (or planning to do) to reduce waste and control F&B costs in your organisation? Let us know by email to hello@arena4finance.co.uk.